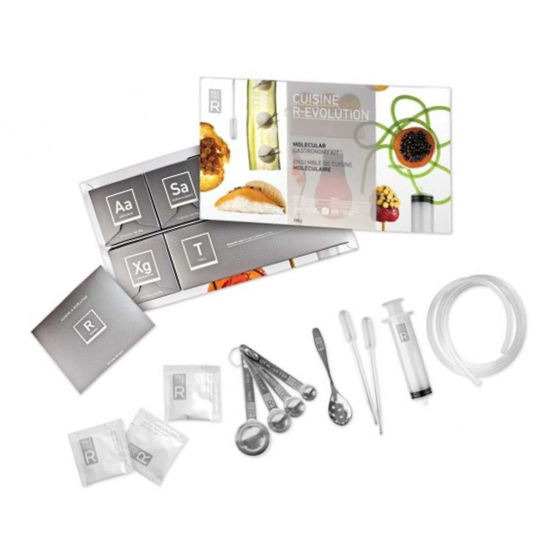 The Molecule-R Molecular Gastronomy Kit is designed to provide all of the chemicals and tools you need to create modernist cuisine at home. 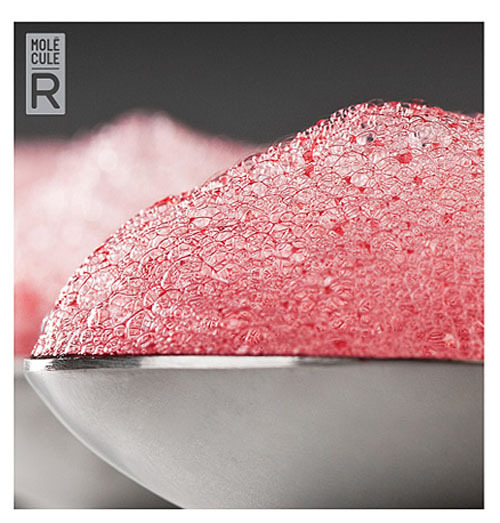 At a time when everyone is pushing the boundaries in what they cook at home, then the Molecular Gastronomy Kit can take it to a whole new level. You can either create a full-on Heston Blumenthal style dining experience or use the kit to jazz up your dinner parties with one (or many) of the 50 recipes that this kit lets you create. When you own a Molecule-R gastronomy kit then you’ll be making tasty, fun and twisted recipes for goodies such as Chocolate Spaghetti and Mint Caviar. The three mainstays of modernist gastronomy are explored with this product so by the time you’ve finished you’ll be an expert at Spherification, Emulsifiaction and Gelification. 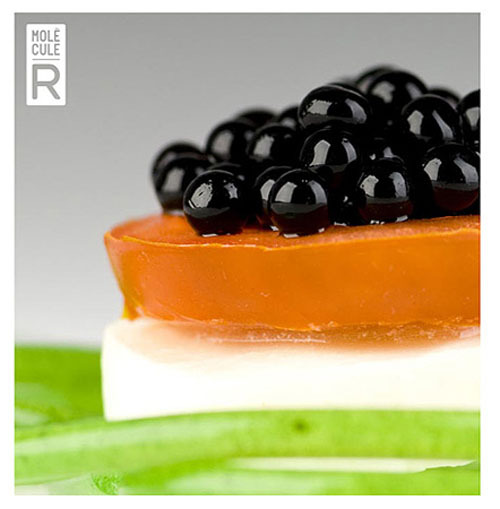 The Molecule-R Molecular Gastronomy Kit is designed to provide all of the chemicals and tools you need to create modernist cuisine at home. 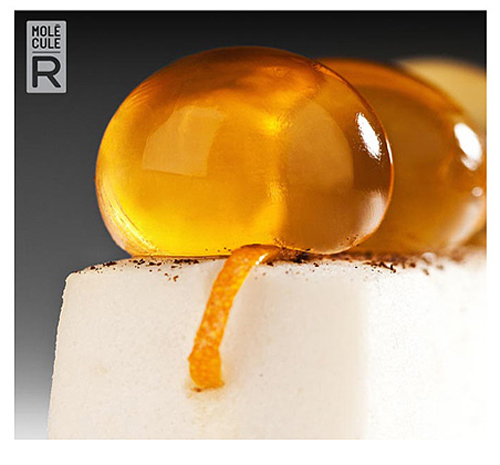 At a time when everyone is pushing the boundaries in what they cook at home, then the Molecular Gastronomy Kit can take it to a whole new level. You can either create a full-on Heston Blumenthal style dining experience or use the kit to jazz up your dinner parties with one (or many) of the 50 recipes that this kit lets you create. When you own a Molecule-R gastronomy kit then you’ll be making tasty, fun and twisted recipes for goodies such as Chocolate Spaghetti and Mint Caviar. The three mainstays of modernist gastronomy are explored with this product so by the time you’ve finished you’ll be an expert at Spherification, Emulsifiaction and Gelification. The 50 sachets of magical modernist food chemicals are 10 each of: Agar agar, calcium lactate, Sodium Alginate, Xantham Gum, Soy Lecithin. If you're unsure then you can read a blog post with some great phtots with report from blogger on a starter kit over at Salty Plums Or see another bloggers take on it at Just Cook it. Or see some interesting stuff at Ideas in Food.